Chesnyky is a village with a population of about 800 people located in the Rohatyn district of the Ivano-Frankivsk region, 71 km north of Ivano-Frankivsk. The main attraction of the village is the Church of St. Michael (also known as the Church of St. Nicholas and the Church of the Ascension) of the 13th century – an architectural monument of national importance and one of the oldest churches in Western Ukraine. Chesnyky on Google Maps. Photos by: Maxim Ritus. 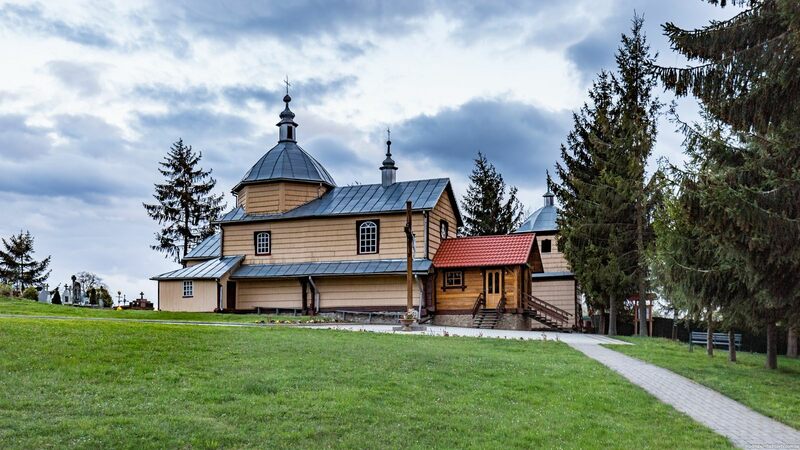 Tshchenets’, first mentioned in 1418, is a small village with a population of about 570 people located in the Mostyska district of the Lviv region, 75 km west of Lviv. The main attraction of the village is the Roman Catholic Church of St. Joseph built in 1924-1928. In 1950-1955 and 1957-1989, the church was closed and used as an administrative building. Tshchenets’ on Google Maps. Photos by: Maxim Ritus. Vysloboky is a small village with a population of about 390 people located in the Lviv region, 19 km to the north-east of the center of Lviv. 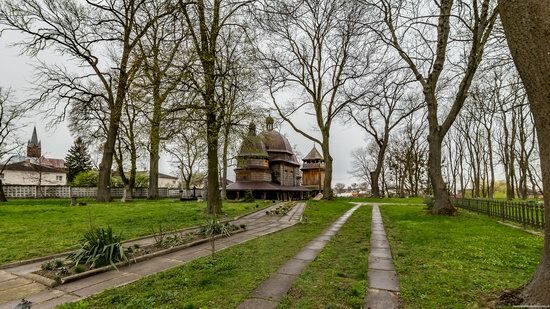 The main attraction of the village is the wooden Church of the Immaculate Conception of the Blessed Virgin Mary (1762-1763), an architectural monument of national importance. Vysloboky on Google Maps. Photos by: Maxim Ritus. 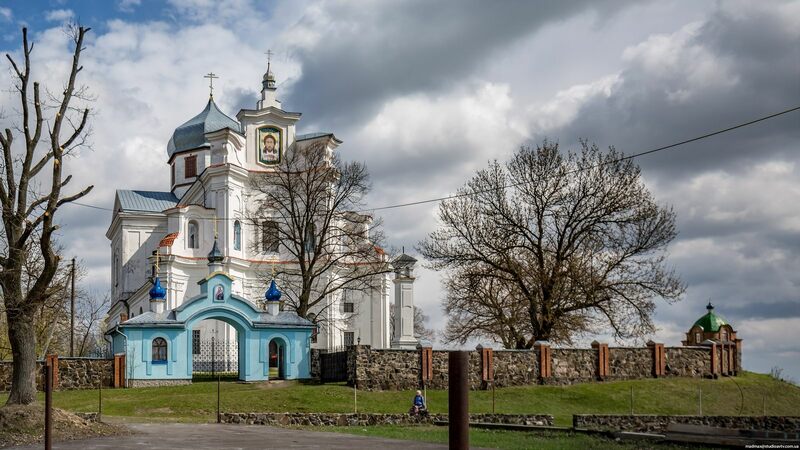 Sumy is a city with a population of about 267 thousand people located in the north-east of Ukraine, the administrative center of the Sumy region. It was named after the Sumka (literally meaning “bag”) River. According to the legend, three hunting bags with money (depicted on the city’s coat of arms) were found near the river – hence its name. Photos by: gatta_bianka. 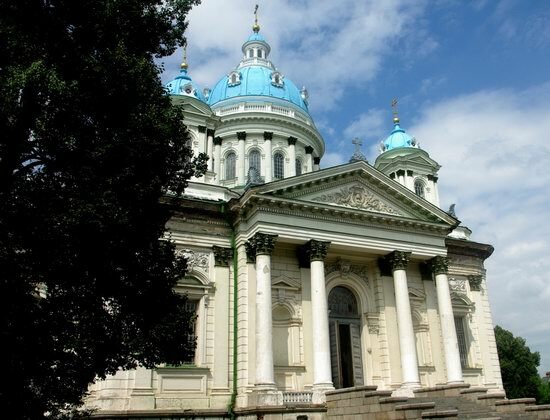 Trinity Cathedral (1901-1914) – one of the most beautiful churches of Sumy, looking similar to St. Isaac’s Cathedral in St. Petersburg (Russia). Shevchenkove is a very small village with a population of about 150 people located in the Halych district of the Ivano-Frankivsk region, 28 km north of Ivano-Frankivsk. 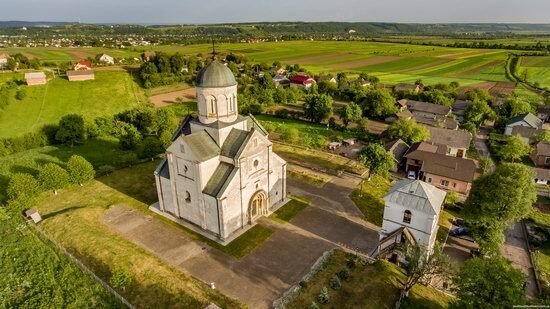 Here you can find remains of old defensive ramparts and a unique architectural monument of national importance – Church of St. Panteleymon (1194), the oldest church in Western Ukraine. Staryi Chortoryisk, first mentioned in 1100, is a large village with a population of about 1,800 people located in the Volyn region, 100 km northeast of Lutsk. 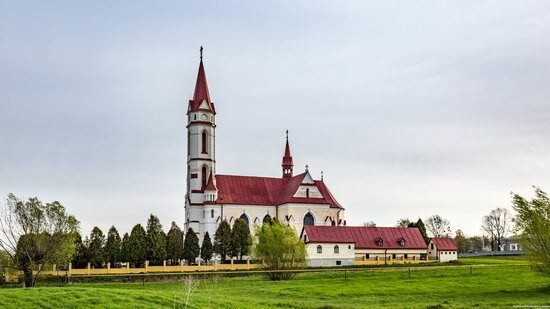 Here you can find a beautiful monument of architecture – the Dominican Church (1741-1753), one of the most valuable Baroque masterpieces in Volhynia. The project of the church was made by the architect Pawel Gizycki. Staryi Chortoryisk on Google Maps. Photos by: Maxim Ritus. Mariupol is a large city located in the Donetsk region in the east of Ukraine, on the shore of the Azov Sea, a major seaport, as well as a climatic and mud resort. In 2016, Mariupol was recognized by the Cabinet of Ministers of Ukraine as one of the most comfortable cities for living in the country. Mariupol has a large number of interesting old buildings constructed in the 19th – first half of the 20th centuries. Unfortunately not all of them are in a well-preserved condition. Let’s look at some of them. Photos by: Evgeny Sosnovsky. The house of Dr. Gamper (1897) – one of the most interesting architectural sights of the city. Zems’ka Street, 45. 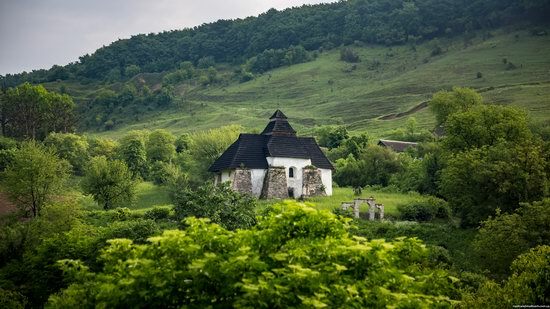 Klits’ko is a small village with a population of about 250 people located in the Horodok district of the Lviv region, 43 km south-west of Lviv. The main attraction of the village is the wooden church of the Assumption of the Blessed Virgin Mary – an architectural monument of national importance built in 1603. Klits’ko on Google Maps. Photos by: Maxim Ritus. 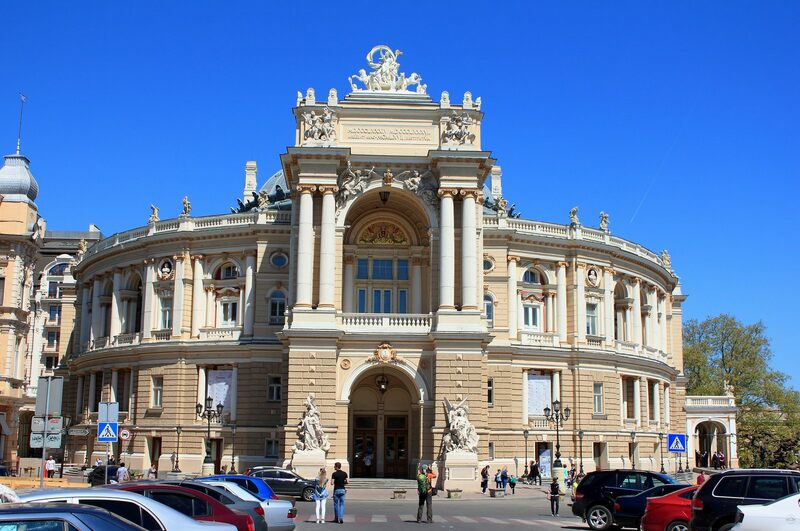 Odessa or Odesa is a city with a population of about 1 million people located on the Black Sea coast in the south of Ukraine, the administrative center of the Odessa region and the main naval base of the Ukrainian Navy. This city, the largest commercial sea port of Ukraine, also offers various opportunities for sanatorium treatment and beach rest. The historical center of Odessa is included in the preliminary list of the UNESCO World Heritage Sites. Photos by: Igor Golovach. 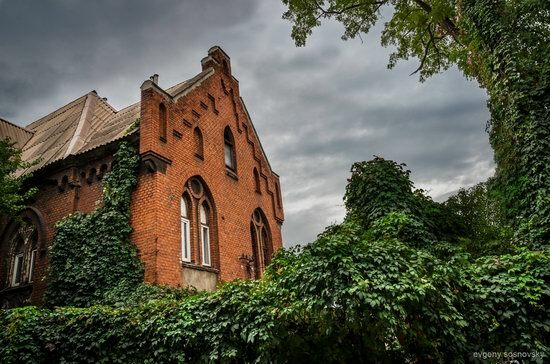 Kamianka-Buzka is a small town with a population of about 10 thousand people located in the Lviv region, 41 km north-east of Lviv. Here you can find several interesting monuments of architecture. One of them is the wooden Church of St. Nicholas (1667) included in the Register of National Monuments of Ukraine. The belfry of the church was built in 1762. Kamianka-Buzka on Google Maps. Photos by: Maxim Ritus.